My Tamarind Lemon Coriander Hefeweizen home-brew recipe on BeerSmith. Packaged, dried, pre-seeded; very sweet! The above-mentioned, captioned nod to tamarind’s African heritage references the appearance of the brim of my African fulani hat, a traditional form of hat made of plant fibers trimmed in leather commonly worn by the the Wodaabe nomadic cattle-herder subgroup of the Fula people of West Africa. With the raging success of my Pomegranate Hefeweizen at a recent Pennsic, I wanted to bring another non-traditional Hefeweizen. I considered kumquats, but they’re not in season. Other options I considered were the typical Seville oranges and coriander, or alternatively tangelo, camomile, heather, lemon, cilantro, and lemon & lime zest. 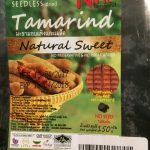 I settled on tamarind for no particular reason. 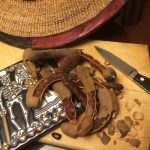 I added the first packaged batch of 150g of dried sweet Thai tamarind to the primary after about a week of fermentation for a duration of about a week. Koren then added the 2nd batch of whole tamarind (which she seeded) during the 3rd or 4th week. So how’s it taste? Dirty, earthy. I keep trying to think of an analog for the taste of tamarind, but come up with nothing. It’s unique unto itself. In a beer, not wholly pleasant. One-dimensional and kind of muddy. To zing it up a little, I added the zest of 1 lemon (about 0.4 oz) and about 0.1 oz ground coriander. After just 24 hours, the aroma and taste are heavenly! 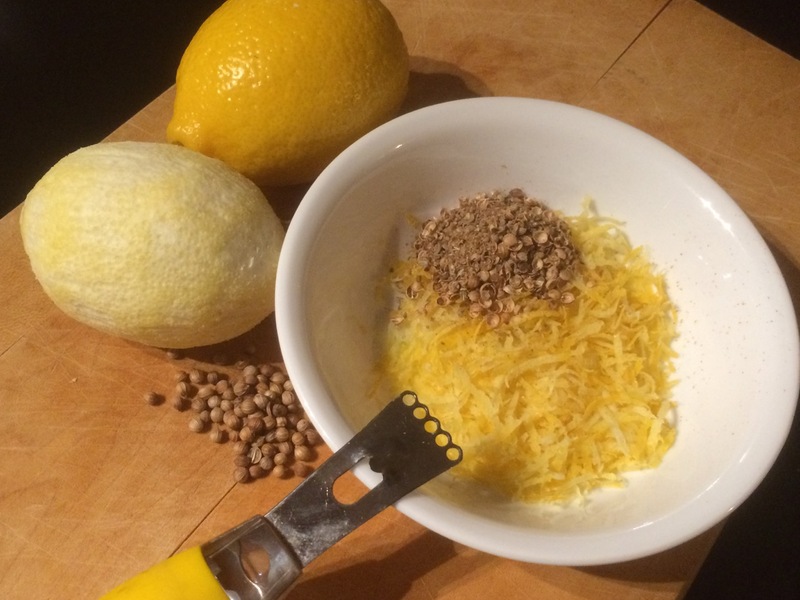 I removed the lemon zest and coriander. After about a week, that little bit of heaven has mellowed considerably. Maybe I’ll have to add more to the keg and let it just hang out and party there.